It is said that you can tell a lot about a person if you dine, wine and travel with them. Being in a relationship with a person and getting married to that person are two extremely different experiences. So if you’re in a relationship with someone special and headed towards a possible ‘i do’, then you definitely need to be sure of your decision to get married. Travelling with your prospective husband or wife, will give you an insight into what your married life with that person may look like. To really get to know a person and their personality in different circumstances and situations, here’s the types of trips a couple should definitely take before getting hitched, to know each other better. A road trip is a must for couples before they get married. A road trip presents itself with a diverse range of challenges and this gives a couple the perfect opportunity to come together and overcome those challenges. It will bring out the compatibility of both partners and show you whether you both really work well with each other or have an incompatible relationship. It will also bring you both closer and give you the chance to get to know each other better, increasing the love between you both. You and your partner should take a trip with the other’s group of friends. Travelling with the friends of your partner will show you how well you get along with the other’s friends and also show you the side of your partner when she or he is with friends. It’s very important to build a good relationship with your partner’s friends as well because you will hangout with them quite often after you get married. A trip with friends will give you the chance to bond with them better and grow closer to them, building a good and important relationship. 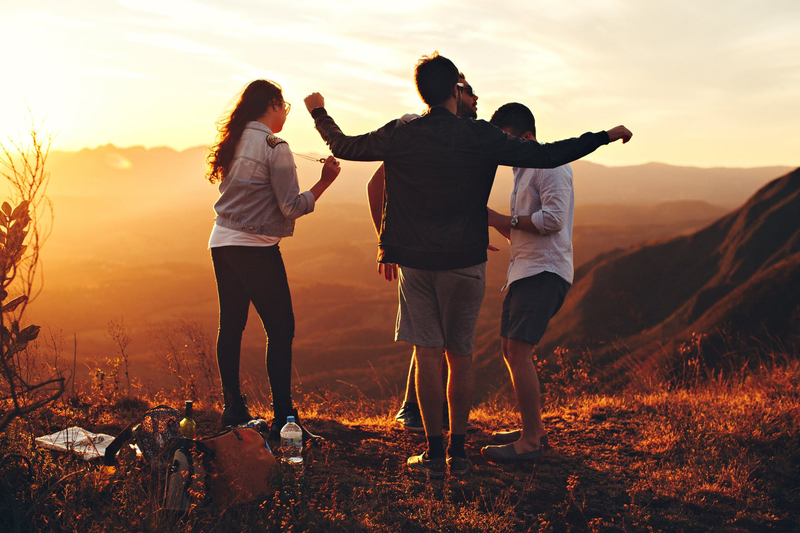 Speaking of friends, it’s important to point out that apart from taking a trip with your partner’s friends, you should also take a trip with just your friends before you get married, like a hen or stag party. You can plan a hen or stag do in Amsterdam, Prague, London or any other popular hen or stag do destination. It’s important to blow off some steam with your friends before you say ‘i do’. This adventurous trip is very important for couples who want to know what it will be like to face tough challenges in life together and lift each other up. This is a trip that will bring you both closer and show how much you really care about each other, with beautiful surroundings of the camping site to give a romantic touch to your trip. Relationships are not always rosy, there are ups, downs and rocky paths in a relationship. A hiking trip will be symbolic of the ups and downs of a relationship, so it will give perspective to your relationship and of course, give you memories to last a lifetime. A backpacking trip helps you understand whether your partner is responsible and likes to take on duties. It will enrich your relationship with a better understanding of each other. A backpacking trip also requires you to talk to strangers and build new relationships, so this will show you how your partner is with strangers and other people, giving you a better peek into a person’s personality. Taking a trip with your partner before you get married can go two ways. It can either lead to you realising that you are very incompatible with each other and there are certain things you both are completely different in. Or it can go the other way, and bring you both closer than ever, making you appreciate your relationship more. However, one thing is for sure, travelling with your partner before you get married is going to be a blessing for your relationship and for yourself.